Affiliate revenue comes from Amazon's affiliate program and/or BH Video's affiliate program. 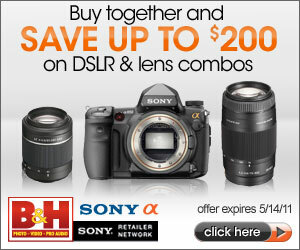 I use primarily Sony and Bogen/Manfrotto camera gear, but am not compensated by Sony. All equipment was purchased at normal prices or at normal discounts available to the general public. Apple equipment is likewise purchased through normal means or on loan/use from my current employer. Access to various locales were done so through normally available means. No special privileges or exclusive access was granted. I am employed by Ning, a social network startup, as a systems administrator. My views here do not reflect the views of my employer. My opinions and comments here are not sponsored by my employer. Blog hosting via blogger.com. Image hosting via flickr and Smugmug. Any exceptions to the above will be noted on the specific blog posting.